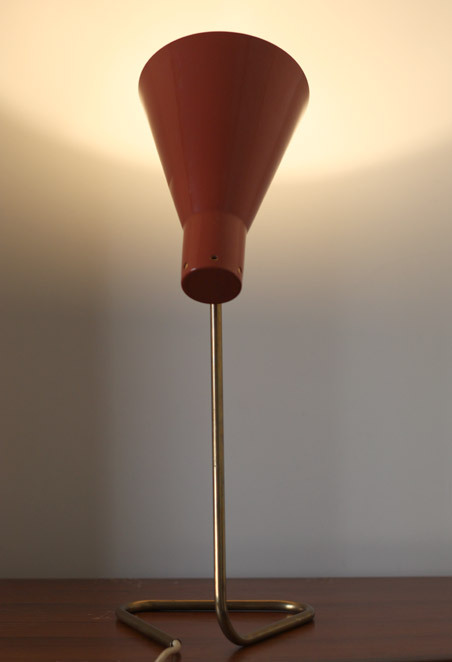 A 1950s Italian lamp. 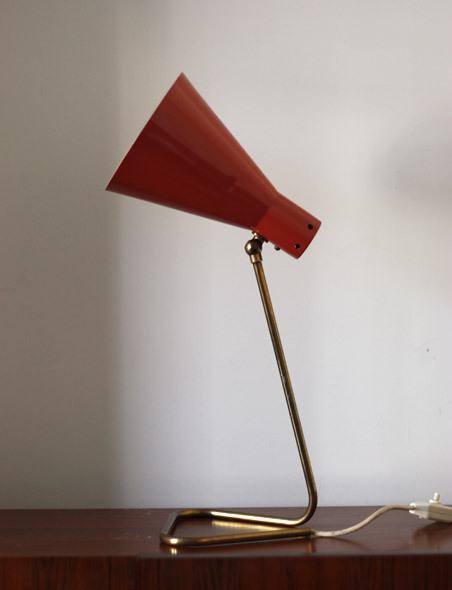 Coral coloured shade on a brass rod with a high quality articulating knuckle and triangular base. 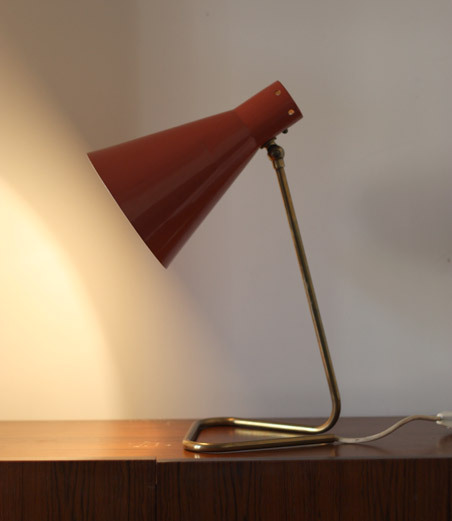 Nice shape and proportions, perfect as a bedside or desk lamp. This particular model is often attributed to Stilnovo or Arteluce but I cannot find any direct references. There are also models by British company Merchant Adventurers with similar shaped bases. In very good condition, brass is nice and clean with minor wear, adjusts well. 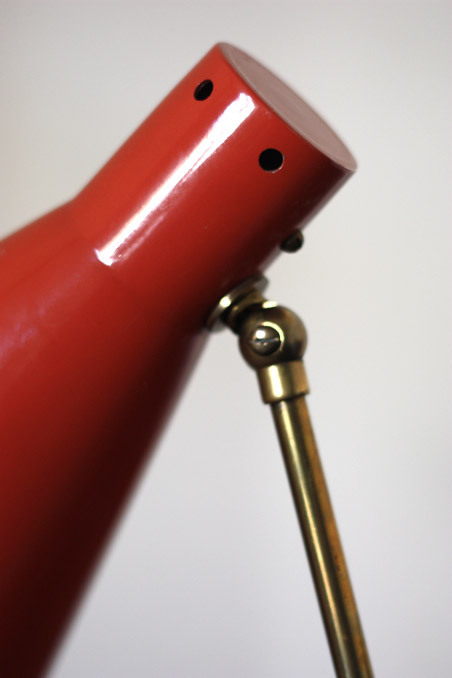 Original paint is in nice condition with two small dings (please ask for pictures).